Outdoor Activities: Fishing, Swimming, Kayaking, etc. Grayton Beach State Park, located in South Walton county on the Florida Emerald Coast, is among the most popular parks in Florida, with huge dunes, winding trails and an array of wildlife - the park is consistently ranks among the most beautiful and pristine beaches in the U.S. The beach provides an idyllic setting for swimming, sunbathing and surf fishing, featuring unforgettable sunrises and moonlit evenings. The 2,200+ acre park features a boat ramp that provides access to the lake's brackish waters for both freshwater and saltwater fishing. Visitors can paddle a canoe, paddle board or kayak on scenic Western Lake for a closer look at the ecosystem. A nature trail winds through a coastal forest filled with scrub oaks, magnolias and more. Hikers and bicyclists can enjoy over 4 miles of trails throughout the pine flatwoods. Options for overnight stays include modern cabins and a full-facility campground. Visitors to Grayton Beach Park enjoy a variety of outdoor activities such as canoeing, kayaking, and boating on the 100-acre Western Lake. Other recreational activities include swimming, freshwater and saltwater fishing, birding, wildlife watching, and hiking and biking along a 4.5 mile interpretive nature trail. Wildlife that may be spotted are shorebirds, nesting sea turtles, bald eagles and more. 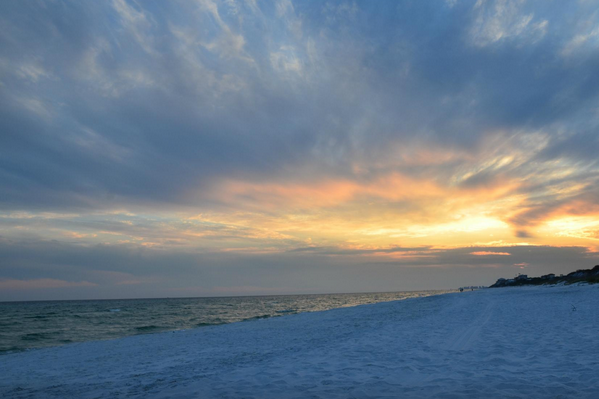 Grayton Beach is the perfect place to bring family and and friends to experience this ideal coastal paradise on the Gulf of Mexico. Grayton Beach State Park opened in 1968 and is a part of the Great Florida Birding Trail, the park is located on the Florida Panhandle on Scenic 30A, approx. halfway between Panama City Beach and Destin. Hours: 8:00 a.m. til sundown, year-round.